VOL. III NO. 3 REG NO. L5015 DELHI, THURSDAY SEPTEMBER 28, 1944. STRICTLY NEWS Sorry, no cheesecake this week. Strictly a news picture. 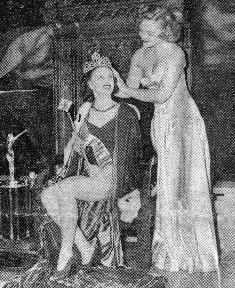 Venus Ramey, winner of the "Miss America" title, receives her crown from last year's titleholder, Jean Bartel. For news story see below. U.S. AIR BASE, SOUTH CHINA - (Delayed) - A corporal, who comes from New Jersey, aimed along the thin beam of a lieutenant's searchlight and fired at the bottom of a gasoline drum through an open door. In great, hungry, licking sheets, flames split the darkness, raced along the floor, up walls and through the roof. The destruction of the American air base at Kweilin had begun. 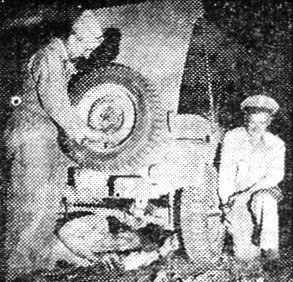 Demolition crews were racing between installations in jeeps, working with systematic swift efficiency. They repeated the process at hangars, hostels, depots and alert shacks. Exploding ammunition and tracer shells went off in a crazy inferno. Roaring yellow blazes produced bizarre lighting effects against the high, craggy fantastically misshapen limestone masses which jut in the most improbable contours from the earth's door in Kwangsi, looking like a mad surface of Mars or the Moon viewed through a powerful lens. From neighboring installations at Ehrtong and Lichiachien came the thud of exploding 1,000-pounders and the glow of their fires matched ours. The 14th Air Force was pulling away from Kweilin which was waiting, stripped and unpeopled, for the will of the approaching enemy. No one knew for sure where the Japanese were located, intelligence and communications had broken down. Chinese troops were building pillboxes at the main intersections of the city and taking up positions in a narrow radius on the outskirts. The situation up the road and railroad toward Chuanhsien 90 miles away (most natural defense position for Kweilin) was unknown. The Chinese 93rd Army, apparently on somebody's orders, had pulled away from those positions, not offering battle. For two days no one, including the Chinese Command, had been able to discover the location of the 93rd's headquarters. The Japanese were moving at will against the rear and past the flanks of dispersing mobs of Chinese soldiers and civilian refugees. The warning net was gone and Kweilin Air Base was also defenseless against marauding columns of Jap cavalry, known to be approaching within less that 40 miles, with some rumors locating them only 10 miles away. The worst fear was the possible cutting off of convoys moving out by road, possibly by plainclothes men known to be in the vicinity. P-51's and B-25's continued flying missions from this field in the midst of evacuation activity, flying out and returning at intervals all day long. now have the job down to its smoothest. The men and most valuable equipment were moving out unhitchingly amid surprising lack of Jap interference. Brig. Gen. "Casey" Vincent's headquarters building was stripped of all personnel and paraphernalia it took to direct operations of his famous wing. All personnel were gone except Vincent, "Tex" Hill, his staff, and a small group under Maj. George Hightower, adjutant directing final phases of evacuation. Empty, tidy offices were awaiting the torch-like dressed-up corpse. In the morning, Gen. Joseph W. Stilwell and Maj. Gen. Claire L. Chennault flew in for a final conference on the spot (I managed to fly with them). Gen.Chang Fah-kwei, commanding Kweilin, came up in his shiny slick American sedan to answer, if possible, their questions on the current Chinese debacle of South Central China. When the brass left shortly after noon, maps were torn from the walls. The war room became another empty shell where beds were set up for the final night, during which no one was to sleep. Phones went out at 3:30 and power was cut off. I drove in toward Kweilin. Along the road straggled lines of war's most miserable creatures - refugees. Households reduced to awkward bundles, the roots plucked up and strewn helplessly by big winds. Women of all ages and with hobbled feet and loads on their backs and on children and men. An occasional column of dejected, retreating soldiers. On the tracks just outside the city and at the south station stood three stalled refugee trains. cars of all types were crawling with people, like bees on a comb, inside and outside, on roofs and on the rods. Movement was blocked by a derailment up the line. People waited, mostly with unsmiling patience. Some had taken along the ties, walking hopelessly in search of safety. back at the base, Vincent, Hill, and Brig. Gen. Thomas Timberman sat in Vincent's office at the end of the day. Conversation did not exactly sparkle. "Look at the map," said Vincent. "It's the worst strategic defeat ever suffered by an American air force." There was not much evidence to hope it could ever be retrieved by Chinese forces. Vincent stood up and strapped on his gun. The little group broke up. 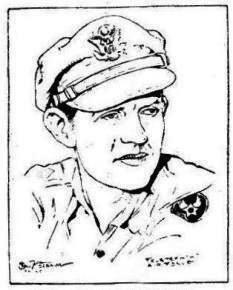 Work from now on was in the hands of Col. Waldo Kenerson, builder of the great B-29 bases and now ironically the demolisher of the chief American central China airfields. Tall, patrician Kenerson gave the word just before one a.m. Two hundred rounds of dynamite were toughed off, giving the signal to other fields, and demolition crews under Capt. Berwin Fry went to work on their job of thorough-going arson. Extra supplies, bombes cached in a cave, went off with a terrific detonation. In a few minutes, the first fires were going. Just before dawn, as we stood by the last waiting transport, Kenerson's men touched off 22 1,000-pound bombs buried in the fighter strip. A sliver of new moon sitting on its back rested precariously on top of a limestone peak, but a great curling mass of smoke and dirt obscured it in the graying dawn. The destruction job was complete except for one runway still intact for the final takeoff, but with 30 similar bombs imbedded. Kenerson and the demolition squad remaining behind to finish the job would move out toward the road. 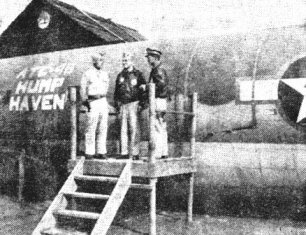 A few minutes later as the sun came up, Vincent, Timberman and staff boarded "Casey's" B-25 Silver Slipper, and took off. Our transport, right behind, was the last American plane off Yangtong field. We followed him in a final circle over the fires still burning and smoke still hazing over pocked runways. On Allied maps now pin-pointed with so many glitteringly victorious operations everywhere, you can draw a shadowed circle around South Central China. The men of the Air Service Command did another job this week - one which made it possible to take two flights of fighters and bombers out of beleaguered Kweilin. To a Northern Air Service Area Command supply base in the Assam Valley, there came one night last week an urgent message from the other side of The Hump. The Air Forces were about to evacuate Kweilin. On the line in China were a sizable number of aircraft, marked "out of commission" for the want of repair parts. Col. Clarence Talbot, ASC chief in China, sent through word that if these planes were to be moved out under their own power, help would be needed pronto. Col. Russell Scott, who recently succeeded Col. Daniel F. Callahan as C.O. of the NASAC, turned out the guard. Lt. Col. Martin A. McDonough and Capt. Richard B. North conducted a middle-of-the-night "office Offensive," recruiting the help of Service Group personnel up and down the valley. "Have you got one of item X and how many of item Y? ... Okay, rush it to the ATC at once." By morning, the list of "airplane out of commission" parts was made up, and ATC had assigned an aircraft to The Hump flight. The relief items arrived at Kweilin. There, ASC mechanics made repairs in record time. Chief of Staff Col. Joseph V. Whitney, of NASAC, described the job: "Our supply experts, from privates to field officers, are emergency-conscious in this valley. They have been doing a marvelous behind-the-scenes job for China and Burma for almost two years. Their work the other night showed the outfit at its professional best." The Assam Air Depot of Northern Air Service Area Command, it was disclosed by the colonel, is manned by enlisted men and officers who were handpicked from numerous outfits which had served both in CBI, North Africa, Middle East and Europe. The majority of them have been under enemy fire, either since D-Day in North Africa, is support of Montgomery's desert dash, or at Myitkyina airfield under Gen. Joseph W. Stilwell. The monsoon weather still held up any real offensive action against the Japs in Burma this week, but the 36th British Division of Maj. Gen. Francis W. Festing continued patrol action south of Hopin, as the Chinese probed enemy strength in the Kazu area. On the Tiddim Road, the Fifth Indian Division struck at Nip supply lines north of Tiddim towards Falam and Haka. The Fifth made steady, but slow, progress against the disorganized enemy units. The British laid ambushes on the south bound road to Tiddim and were constantly cutting up the Jap columns. The British were under Jap artillery fire in their newly won positions in the Mayu range in the Arakan. But personal contact, except for mortar and artillery exchanges, was limited to patrol work. British reports said Jap troop concentrations were being built up on the Bhamo-Lungling Road, possibly presaging a Nip winter offensive. Early in the week, units of the British Eastern Fleet under the command of Read Adm. Clement Moody hit at Sumatra with a carrier force. The railway repair and maintenance center at Sigli was the target. It was reported that three quarters of the depot was left in ruins. It was also announced that Adm. Lord Louis Mountbatten, SEAC Commander, had toured Myitkyina area with Brig. Gen. Joseph Cannon and Brig. Gen. Lewis A. Pick. Lt. Gen. Sun Li Jen, commander of the veteran 38th Chinese Division, that drove through North Burma as part of Gen. Joseph W. Stilwell's command, was also in the inspection group. MOROTAL ISLAND - (ANS) - Pvt. Joe Aiello, of the Bronx, N.Y., was ordered to bail out of a Liberator with engine trouble on a mission to the Philippines, plunged 3,000 feet without benefit of parachute but escaped without a broken bone. "The goddam Air Corps! I should have stayed in the Medics." He added, "I was scared to open my eyes for fear I might see angels." WASHINGTON - (ANS) - Donald M. Nelson, chairman of the War Production Board, returned this week from a special Presidential mission to China with what a WPB spokesman said was Generalissimo Chiang Kai-shek's approval of plans to bring more of China's industrial strength into the war against Japan. The WPB spokesman added that Nelson expects to return to China later in the year, presumably to put in motion plans by which the embattled Chinese may produce more of the weapons urgently needed to stem the Japanese advance on the Asiatic mainland and to tide over the needs of the Chinese armies until a direct supply line can be established across the Pacific. Maj. Gen. Patrick J. Hurley, who accompanied Nelson, remained behind in China to develop military discussions already started. BURMA - The "New Army" has 1st/Sgt. Walter R. Stephenson of the Tornado Medium Bomb Group of the 10th Air Force, slightly bemused. Stephenson's replacement has arrived in the person of 1st/Sgt. Maurice Curry, who has just returned from a tour of K.P. and latrine duty in the States. Curry was one of the first men rotated home after serving his time overseas. After his home leave, he was assigned to the Overseas Replacement Depot at Camp Kearns, Utah, and there served under a USO corporal along with 12 other first sergeants on such duties as K.P. and latrine detail. Curry is now instructing Stephenson in the proper way to go about washing dishes and scrubbing floors so he will feel at home when he gets back to Shangri-La and gets assigned under a similar USO Commando. Stephenson hopes he will be satisfactory to the privates back in the States. WASHINGTON - B-29 Super-Forts ranged over Manchuria again Tuesday, the War Department announced, without identifying targets and adding that further details would be released as soon as available. 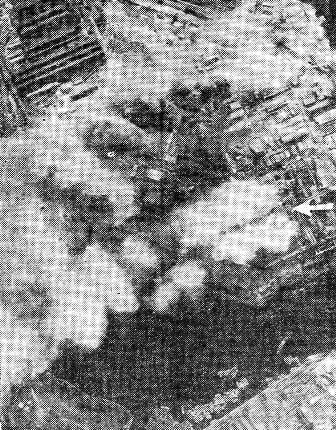 Federal Communications Commission monitors recorded a Tokyo broadcast saying that 70 Super-Forts had hit the big industrial city of Anshan, where two previous B-29 blows have fallen. It's now Maj. Gen. Gilbert X. Cheeves and Brig. Gen. John P. Willey. The Senate this week confirmed the nominations to higher rank for the CBI leaders submitted by the President. Cheeves is the colorful, aggressive commander of Base Section No. 2, SOS, and Willey is Deputy Chief of Staff of the Northern Combat Area Command. 14TH AIR FORCE HQS., CHINA - Liberator bombers of the 14th Air Force, armed with "special equipment," paid another visit to the Straits of Formosa this week and destroyed six of an 11-ship Jap convoy, bringing the total of enemy shipping sent to the bottom during the past seven days to 26,000 tons. According to a 14th Air Force communiqu� this week's haul by Maj. Gen. Claire L. Chennault's aircraft boosts to 74,600 tons the toll taken on Japanese shipping during the first 19 days of September, not including a large number of small river vessels, under 100 feet long. 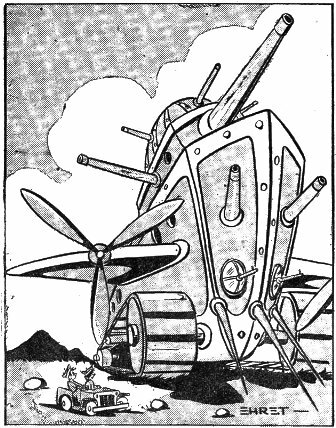 "Special equipment" carried on the B-24's on these missions was not described in any of the reports. Chennault's boys were busy on other sectors also, particularly on the Salween Front, where B-25's and B-24's bombed enemy targets near Chefang, causing large landslides which closed the Burma Road in two places. Other medium bombers destroyed a bridge along the Rangoon-Thailand railroad and caused large fires and explosions among Jap storage areas at Lungling. 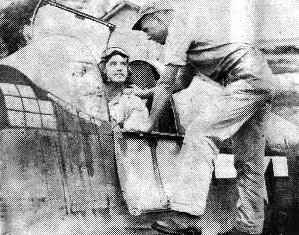 In support to Chinese ground troops in the Hengyang-Kweilin area, P-40's of the Chinese-American Composite Wing were met by 20 Tojos, five of which were downed, two probably destroyed and five damaged. On the Siang River, fighters and bombers destroyed 200 Jap boats and left one large steamer in flames. Several large fires and explosions were observed among enemy installations near Changsha following an attack by P-51's and medium bombers. In the Canton area, where a new westward enemy offensive has started, P-51's left the town of Wuchow in flames after setting fire to huge oil dumps. During the entire week the 14th Air Force lost only eight aircraft. ALONG THE LEDO ROAD - It had been a tough day for the striding lieutenant, sweating out his 23rd month at the jungled, whistle-stop along the Ledo Road. Just as he poked under a pile of rush work, looking for a soggy cigarette, the phone rang. "That's tight," he replied nicely, as if everything had been going well that blue Monday, "You say it's the Base Censor calling. Want to know what's the idea of my using I.M.B.G.N. in letters." The lieutenant braced himself, cleared his throat and answered the censor, "I must be going nuts." The letter-snipper on the other end, a little stunned, hastily retorted, "I don't car if you are going nuts, stop using a damned code in your letter." Then the weary looey let the phone drop, settled back in his squeaking chair and looking puzzled asked aloud, "What's so strange about that? Every time my wife and I make a mistake in a letter, we just put I.M.B.G.N. Simple enough - it means: I Must Be Going Nuts. Don't guess the censor caught on." - By Cpl. C. M. Buchanan. KANDY - In this man's Army the lowly G.I. as well as the general is taught complete obedience without question to orders. 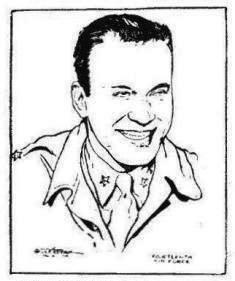 T/5 "Wild Bill" Carmody, one of Hq. SEAC's busy, lusty sedan-pushers, has brought a new philosophy to that thought. Pvt. Jack Ponsford, another member of the staff-car brigade, knew by the loud cries of anguish in his bowels that he had the G.I.'s. He also knew that a trip to the local U.S. Army hospital, in fact a trip to any place out of line with the local latrine, might prove disastrous. Soo, Wild Bill headed for the croakery on an errand of mercy for his friend, Ponsford, He explained his mission, but the hospital gang was busy. After a while an attendant, who ranked him, handed Wild Bill a small bottle and said severely: "Drink it." To the victim an order is an order, so he drank it. As far as we know, Ponsford either died or just naturally got wet. - By T/7 FANCIFUL L. FROOP. KUNMING - The Burma Road, that four years ago was China's lifeline from Lashio to this terminus, now heads in the opposite direction. It runs close to 500 miles, to beyond the Salween River. And over its dusty, muddy ruts, climbing towering peaks and plunging down curving, precipitous trails, it carries much of the materials that are enabling American-trained Chinese troops to carry on an offensive designed to open a through route road linking China firmly by land with her allies of the West. This week, I returned here after a 10-day trip down the Burma Road that took me 25 kilometers west of the Salween to the spot where the road is overshadowed by Sungshan - Pine Hill. The Japanese are clinging to a few footholds on Sungshan and, once they are wiped out, the work of rebuilding a highway will pick up again. In 10 days on the Road traveling with Lt. Col. Louis V. Dawson, Jr., head of the Burma Road Engineers, I saw mile after mile of evidence of the closest Chinese-American co-operation in a work that means much to both people. Col. Dawson came to China in November, 1942, to head the then non-existent Burma Road Engineers. He spent seven months bouncing up and down the Road in a jeep, taking with Chinese engineers and officials, estimating, surveying and planning. In June of last year, nine American officers came to work with him, the B.R.E. was attached to Brig. Gen. Frank Dorn's Y-Force and the work began. At the present time, the road is divided into six districts. Each has an American and each a Chinese engineer who work together in planning improvements. To indicate the difficulties under which the work is progressing, it should be emphasized that there has been virtually no equipment. Where the Alcan Highway in Alaska had 1,890 pieces of the most modern road-building equipment and where the Ledo Road in Burma has some hundreds of pieces, the Burma Road Engineers until recently had exactly seven pieces and most of the time at least three of them were out of commission. All along the Road as we traveled westward, there were reports that a little new equipment had recently been flown in. At an airfield, we saw some of it - motor patrols, bulldozers, air compressors, tractors. It is cut apart in India and packed aboard planes. Then, in China, American soldiers weld it together again, and in less than 24 hours from the time the plane hits the field the equipment is out on the Road, putting a crown on the highway, scraping the surface, hauling rocks and timber, scraping the shoulders so two trucks can pass. The greatest problem is landslides, and the are particularly bad during the summer rainy season when dirt and rocks, loosened by the water, come cascading down on the Road. In one section of 25 miles, a single rain resulted in 163 slides, while another slide caught 30 workers and spectators and buried them alive. It is a constant day-after-day fight to keep the Road clear so the supplies of war can move westward. The greatest part of the back-breaking work is done by Chinese farmers of the vicinity, who are rounded up by their foremen for labor service. The number of those now employed is about 3,000, but there were times a year ago when as many as 11,000 were at work at one time. They are Yunnanese peasants who, under the direction of foremen, carry dirt in small baskets along poles over their shoulders and pick and scrape with inadequate numbers of shovels and picks. Many of them are women and children. I talked through an interpreter to one woman who said she was 66, while next to her was a girl of 12. The reason so few able-bodied men are seen on the Road is partly that they are apt to keep to the hills in order to escape being drafted as carrier-coolies by the Chinese Army as it moves down the Road. When the Salween Bridge was nearing completion, the Americans actually went to work and put the last planks into place. The Japanese had come over to bomb it and most of the laborers had fled. Maj. William T. Moore, the bridge engineer, pitched in to put the planks into place himself, while Lt. Quon Y. Ching, of Honolulu, rounded up every stray Chinese in the vicinity he could find and put them to work, despite protests and assertions of being on important business that could not wait. Brig. Gen. Dorn's statement that the Road alone enabled a campaign to be launched this year on the Salween is sufficient excuse for the time and trouble and money that have gone into it. The aim is simply to widen the Road to 30 feet throughout its length, to strengthen every bridge until it can carry 20 tons, to chop down grades until they are no more than eight percent and to realign curves until none has a radius less than 50 meters. That has not been accomplished by any means as yet; the equipment is not in China with which to do it. But Americans and Chinese working together have done much in this direction. 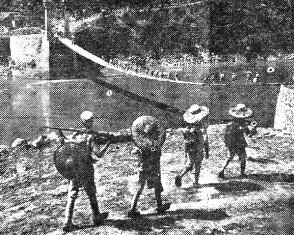 Chinese soldiers march to the front, crossing the treacherous Salween River by means of the temporary suspension bridge built across the boiling waters by the Burma Road Engineers. the bridge has been repaired and the road improved. In fact, the big grade where trucks had to back up onto sidings to get a head start for a series of short uphill spurts has disappeared, thanks to a section which any truck can manage. But much as has been done, there still remains much to do. "If we had 24 patrol units, we could cut the gasoline consumption 20 percent and the maintenance costs 50 percent," Col. Dawson says. "With the proper equipment we'd really make a highway of this." That brings up the question of what will happen when the equipment does get here. At the present time, there are 23 officers and 50 enlisted men working on the Road. 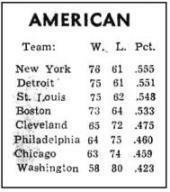 That's a far cry from the nine Americans who started work in June, 1943, but it is a handful for 500 miles - and more than 500 miles when the road to India is open. Can the Chinese handle this modern equipment or will they be able to do so only under G.I. instruction? Right now, the Chinese are learning. Some of them are using jackhammers - those rat-at-tat-tat machines that tear up American streets. And they are learning to use air compressors, which regulate the flow of compressed air to the jackhammers. A few of them with previous experience can operate bulldozers (one bulldozer is estimated to do the work of 400 coolies) and they are starting work on boring and packing explosives. But it is going to be a long, tiresome job and it seems unlikely that the Burma Road will be 100 percent Chinese operated. Lt. Charles Elliott, who supervises 65 miles of Road, with two broken down trucks and a jeep, and has rebuilt all the bridges in his area so that they can carry 20 tons, says he hasn't had a bit of trouble on the score of cooperation with his Chinese associates, but he isn't too sure they are going to be able to manage mechanized equipment very soon. "One trouble is," he says, "that some Americans expect too much. And they push too hard. This is going to be a slow process and we've just got to show them over and over again until they agree that the way we suggest is the best way. The chief engineer in my district gets right down and works like a coolie, but I've got to keep after them all. Maybe if we could get more people from what are now the occupied parts of China - people with some mechanical experience - it would be faster." C. C. Kung, director of the Yunnan-Burma Highway Engineering Administration, which is the Chinese organization that is responsible for maintaining and rebuilding the Road, is only too glad to receive the American suggestions and has worked closely with Col. Dawson in seeing that such suggestions are carried out. In fact, he already has nebulous plans for building a road network in China during and after the war on the Burma Road basis. "I think we will be able to get along independently after the American helpers leave," he asserted, "but it will be more satisfactory for some time for them to work with us." The Americans working on the Road come from all over the United States. The officers are engineers, and the G.I. 's were advertising salesmen, barbers, hotel clerks, sheriffs and everything else Americans are. Only a handful of them ever had any special interest in China before they arrived here and they have found it a great deal different from the glowing pictures that an energetic Chungking propaganda machine had painted for the American public. They like the Chinese as people. They slap them on the back and call them "Joe" and they are called "Joe" in return. They don't like the Chinese willingness to do things tomorrow if they can possibly be done today. And they don't like the dirt and strangeness. They want things to be like they were at home. They talk about beer and dancing and girls - chiefly girls. They have pinned up enough pictures of American girls from Kunming to the Salween to pave the entire length of the Road. The radio brings them news from the outside world and they listen not so much to music as to news broadcasts, because the better the news is in France and Russia and the Pacific, the faster they will be getting home. The plan in CBI of sending men home after two years' service has resulted in everybody counting his time by months. You ask somebody how long he has been here and he'll say, "Nineteen months - five to go." Their attitude in general seems to be that things are a lot better at home, but they could be in worse places. A high-powered group is ministering to the needs of this lowly jeep along the Burma Road. Left to right, the officers are Lt. Col. Louis Y. Dawson, former CO of the Burma Road Engineers; Lt. Col. Frank H. Newman, Engineer Office of SOS Advance Section No. 1 and Brig. Gen. Thomas F. Farrell, Commanding General of Construction Service, SOS, CBI. officers of the Y-Force. They have fixed up the place so that the monks would never recognize it now with showers, comfortable beds and a radio. The Army makes a point of getting the things American troops miss to their compounds as fast as possible, particularly when they are well off the beaten track. A courier comes down two of three times a week with mail and packages from home and food and PX supplies. Down across the Salween, only a few kilometers from the Japanese and within sound of Japanese guns, is the last group of Americans. They are living in abandoned trucks that were left along the roadside during the retreat of two years ago and have them fixed up like home. In fact, they have a cold, clear mountain spring only a few steps away, and while the probably could drink the water without boiling it they aren't encouraged to do so by Maj. Harvey Gehr, their CO. But the spring serves as a bath and on the day I was there, there was also a case of 24 bottles of American beer. It is unnecessary to inquire where it came from, because one does not look miracles in the face. It promptly went into the spring with Cpl. George Silva detailed to guard it with his life. The other five enlisted men - Sgt. Angelo Poppolo and Richard Kreiger, Cpls. Nathan Bencegaey and John Simpson, and Pfc. Robert Pannunzio - became an automatic detail, guarding Silva. One definite impression I certainly got was that the common people of China who have seen the Americans in the field like them. Before too long they will probably have an opportunity of seeing still more. New equipment is coming in more and more frequently now and there will be additional American soldiers required to put it together, to take it out and use it and to show the Chinese how to use it. For quite a while, there will be a large number of Americans on the Burma Road - probably until the war is over or at least until there are ports on the China coast which we can use. What they are doing is helping to fight a military-political-economic war and they are fighting it well. Once contact is made between the American-Chinese forces in Burma and those here in China, the great dream of a land road linking China with her Allies will have been fulfilled. But the Road will need constant upkeep, constant repairs and constant improvement. That will mean new equipment. As the Road is improved, it will be able to carry more war tools to improve the Road itself. And that in turn will mean materials now flown over The Hump can be brought in by land. Between the two - The Burma-Ledo Road and the air jump across The Hump - there will be a sizeable quantity of supplies coming into China. It won't be anything like what goes to Europe and is pouring into the ports of France today, but it will be more than is arriving here now and for that the Americans are here - to get as much stuff as possible so Japan can be defeated just as soon as we can do it. 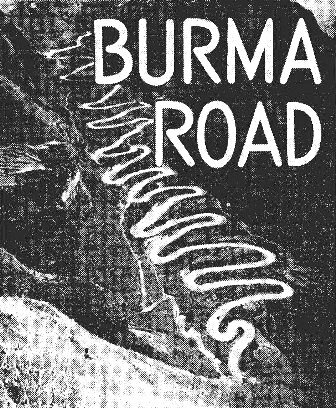 One of the questions that the Roundup's feature on the Burma Road provokes is - How are the U.S. Army Engineers making out on the Ledo Road? That question is partially answered by an article received today from correspondent Walter Rundle of the United Press. Writes Rundle: "Brig. Gen. Lewis A. Pick and his Ledo Road construction forces are proving that the new land supply route, which eventually will lead from India to China, can be kept open through the monsoon season. Maintenance he said recently, has proved a less serious problem than had been anticipated. "As a result, only a few bulldozers and other heavy equipment are being retained on the upper sections of the road. Most of the construction machinery has been released to push down closer to the front where the actual construction now is underway. "Engineers on the completed sections of the road employ huge scrapers to push aside excess mud and water and to fill in the spots softened by the monsoon. A constant patrol is maintained to keep drainage open. Damaged sections of the road are promptly repaired so that while traffic has at times been slowed, it never has been entirely stopped. "Typical was the work done on a damaged 140-foot bridge, A report of the damage was received at 3 a.m. By 8 a.m. plans for repair were completed and men and materials needed had been sent to the scene. By 5 p.m. of the same day a temporary span had been repaired and put into operation. Nine days later, an entirely new bridge had replaced the old one and was opened to traffic." Ship unloading records in CBI, like a tipsy drunk, faw down and go boom with regularity when G.I. 's of the SOS port units roll up their sleeves, spit on their hands and attack a cargo. Latest record is claimed by the Karachi outfit, which unloaded a baby flattop, carrying 22 fully-assembled planes, in 21½ hours. Delivered to the U.S. Army at 1230 hours one day, it was turned back to the War Shipping Administration at 1000 hours the next. The captain of the baby carrier disclosed that it took five days to load the vessel in the United States. The Karachi Port Troops were spurred on by the recent record of their Calcutta rivals, who unloaded a Liberty Ship in 46 hours and four minutes. Bursting with pride, Brig. Gen. John A. 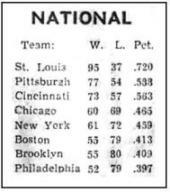 Warden claims that available records show a new CBI record for his men. Further, he believes that the unloading establishes a world's record for gross discharge of measurement tons. WASHINGTON - (ANS) - Secretary of War Henry L. Stimson announced this week that American war casualties had topped the 400,000 mark and that the actual total may have passed that figure, as Army Tabulations to date do not include casualties suffered in the Battle of the Siegfried Line. Stimson reported that as of this week Army casualties in all theaters totaled 337,743 ... 64,468 killed and 177,235 wounded. There were 48,725 prisoners of war and 47,315 missing in action. Navy, Marine Corps and Coast Guard casualties total 63,017, of which 25,152 are listed as dead, 23,867 wounded, 9,429 missing and 4,466 are prisoners. The secretary said that he expected the Germans to defend the West Wall to the bitter end, using troops from Norway and Denmark to strengthen the fortifications. Stimson also revealed that the War Department had approved pending legislation to create an Army rank higher that that of a full general provided a distinction is made between that and the rank of General of the Armies. now held by John J. Pershing alone. Two officers (presumably Marshall and Eisenhower) could be elevated to the new rank, the title of which will be left to Congress. SOUTHWEST CHINA - Armed Forces in this part of the world may have been a trifle short at times on catsup, cheese, salad oil, and even Spam, but arrangements have been made by which officers and men traveling light over The Hump, China-bound, may pack a few sustenance stores for their messes. This announcement was made in a memorandum of Col. Robert R. Neyland, commanding Advance Section No. 1, SOS. The individual who loads up an extra suitcase or barracks bag with canned fruit juices, bottles of catsup, boxes of dessert mix, cheese, canned meats, spices and other tidbits usually found in the ordinary pantry at home, will have to represent an organized mess. And he will have to have authority from top organization commanders to act as a one-man commissary train over the Himalayas. Maj. Woodrow W. Vaughan, commanding Advance Depot No. 1, and in charge of sustenance stores, said the plan would provide a considerable volume of food items for messes in China as personal baggage without interfering with tonnage allotments flown over the mountains from India by the Air Transport Command. On regular tonnage, bombs usually take priority over butter. Under the new plan, foodstuffs will fill in extra space on passenger ships up to ordinary baggage allowances. NORTH BURMA - Sea and fresh-water "monsters" always make good copy, and although this story is not quite as good as the one about the gent who turned on his bathtub faucet and bagged a 50-footer, it's at least more credible. "The Burma Monster," as it shall be called hereafter, allegedly cavorts in Indawgyi Lake, a 15-mile stretch of tropical water within 20 miles of Mogaung. 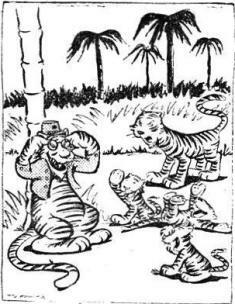 It was first seen by Capt. John F. Lee-Warner of Maj. Gen. Joe Lentagine's "Chindits" when the lake was being used as a flying-boat base during this year's North Burma campaign. Lee-Warner and three other men were crossing the lake in a motorboat when, according to all four, they saw "two large bumps" sashaying around in the water 50 yards away. The captain stepped up his little outboard to top speed, but the Burma Monster, as monsters all over the world are apt to be, was too fast. He (or she) sounded, creating a great "wash" that rocked the small boat. The captain and his men depth-bombed the area with hand grenades and searched vigilantly for an oil slick or whatever kind of slick monsters make. Their only reward was a handful of fish killed by the concussion. These were duly collected and served at the mess hall that night, but that has nothing to do with the story. The tale got around and soon other had seen the "bumps," which by now had become "serpent-like bumps," if that helps to give you a better picture of the Burma Monster. Lee-Warner, whose home is at N. Loughborough, Leicestershire, told his experience to the headman of Chaungwa, a neighboring village. "Crocodile," said the head-man tersely, emphatically and finally. "Maybe," said the captain, "but I've seen Indawgyi crocodiles and that wasn't one." One theory is that the Burma Monster is a "Chinthe" - a famous half-griffin, half-lion beast of Burmese mythology - from which the "Chindits" take their name and insignia. 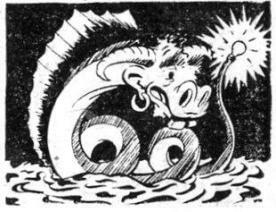 A second speculation is that the Burma Monster is just an ordinary man-in-the-street monster who's a little irked by all the attention given his Loch Ness cousin and the various immigrant monsters in the Missouri and Mississippi Rivers. A third explanation, which this writer is inclined to favor, is that the Mogaung Chamber of Commerce is including in its post-war plans a stellar tourist attraction. CHUNGKING - (Delayed) - A broadscale reorganization of the Chinese Army is under consideration by Generalissimo Chiang Kai-shek in an effort to heighten the effectiveness of China's resistance and to eliminate weaknesses revealed in this summer's campaigns in which the Japanese scored a series of damaging blows in Honan, Hupeh and Hunan Provinces. It is understood the reorganization will carry down through the ranks of the Chinese Army with emphasis on the qualitative rather than the quantitative factors. In one of his first moves the Generalissimo has ousted Gen. Chung Tsai Yen, Director of China's Conscription Bureau from office and ordered him imprisoned on charges of abuse of his position. The action was taken in a move to improve the lot of the Chinese soldier, coincident with the Generalissimo's personal investigation and confirmation of reports that three ailing recruits of a transportation corps billeted near Chungking were denied medical treatment and were beaten by their superiors. WELCOME TO CHINA Two San Francisco flight nurses attached to the 14th Air Force admire their new mascot, newly-flown across the Hump. Meet Lts. Norma Rice, left, and Addie Newland. After ordering the arrest of Chung, who had been under severe criticism on charges of maltreatment of recruits and enriching himself by permitting wealthy conscripts to buy their way out of the army, the Generalissimo appointed Gen. Hsu Sai Ping head of the Conscription Bureau and instituted three measures of reform: First, to give soldiers a status equal to that of civil servants; second, to enforce the conscription of intellectuals as well as peasants and farmers; third, to place increasing reliance on students as the foundation for China's future national strength. The reorganization plan is said to envisage a possible reduction in the number of China's armies and divisions with emphasis on bringing a smaller number of units to full strength and developing them as a hard-striking, fully-armored force, led by the pick of China's military leaders. The successes of Gen. Joseph W. Stilwell's small but well-trained and well-equipped armies in Burma and of Gen. Wei Li-Huang's revitalized Chinese Expeditionary Force are regarded strong arguments in favor of more compact, sharper forces with less dependence on the mere weight of numbers. It is also expected that the reorganization plans will include further weeding out of leaders who have given an unsatisfactory account of themselves in recent campaigns - a process already begun with the purge of officers held responsible for the fall of Changsha. These included Gen. Chang Teh-neng, commander of the Fourth Army who was executed on charges of dereliction of duty in the defense of Changsha and five subordinate officers, shot on charges of corruption and profiteering during the evacuation of that key railway junction city which fell to the Japanese in the enemy's spring drive southward along the Hankow-Canton railway. The Chinese have re-occupied the lower section of the Tengchung-Lungling Road following Japanese withdrawal from their positions which dominated the highway in this week's feature on the Salween Front. With the wiping out of enemy forces at Tengchung and Sungshan, the armies of Gen. Wei Li Huang can concentrate on the Lungling area, where the old city has already been occupied by elements of the 11th Route Army. The Chinese counted 520 enemy dead after taking over the village of Nanchang and surrounding high ground. Severe monsoon weather slowed up offensive activity by the Chinese. Jap columns have been moving north and east of Mangshih in an attempt to occupy Chinese positions near this Burma Road town. The Jap attackers are estimated to number about 1,000. Several positions were taken by the Japs and heavy fighting is continuing, according to American Y-Force liaison troops working with the Chinese. Aerial activity was restricted by the weather, but Jap positions at Chefang, about 25 miles southwest of Mangshih, were bombed by American planes on one day and strafing attacks on the Mangshih Road cost the Nips five trucks. To date, that plane - member of the "Yellow Scorpion Squadron" - has destroyed eight Japanese planes and damaged three over Burma. On several occasions, other pilots than England flew it, notably Lt. William W. Griffith. Between the two, they have two DFC's two Air Medals, numerous clusters to each and the Silver Star. 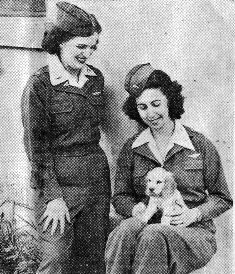 England has credit for all the sky victories, while Griffith won the Silver Star fro "gallantry in action." 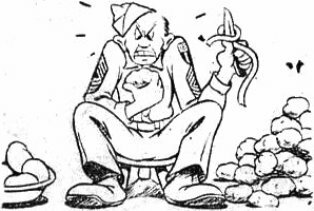 ANIMAL CRACKER "Eating that Jap sniper was one thing, but making a fool of yourself in front of the children is another." aileron assembly, tail section, stabilizer, electric conduit in the left wheel and several canopies. The boys at this base in the hills are wondering whether a five-foot cobra left them his '43 skin as a memento. According to Lt. Col. Ross W. Mayer, assigned to ASC Plans and Operations, the cobra was a wily fellow. He lived in a patch of dense brush near the mess hall. After he was first spotted, the officers immediately began wearing their holsters with guns. Three holes in the ground perplexed them. They didn't know the channels through which the cobra operated. Then came a stretch of three or four days when nobody saw the cobra. Had he left for more hospitable quarters? When the modest little P-X was opened one morning there across the center of the floor lay a large cellophane-like snake-wrapper, such as Macy's might use to doll up a gift package in case you wanted to send a cobra to a Japanese friend. He had shed his skin and vanished. Everybody's breathing lightly again. SEATTLE - William Westlake, then 13, was reprimanded two years ago for scribbling his name on the base of the Victory Square pylon bearing the names of Seattle's World War I dead. "Someday my name might really be up there," he replied. His name is among 172 to be placed on the pylon in a memorial service soon. His mother, Mrs. Beatrice Atwell, received word this week that the 15-year-old boy, big for his age, was killed in the Pacific. He had enlisted in the Marines at 14. LONG AND USEFUL LIFE Once it hurdled the Hump. Now this C-46 transport plane is a coffee shop at an ATC base in China. It crashed into a mountainside, ending its flying days. Known as "ATC-46 Hump Haven," it is inspected by Maj. Jacob L. Sutton and Capts. Franklin A. Jones and Everett M. Smith, left to right. The Chinese announced this week that the Japanese drive down the Hunan-Kwangsi Railroad has been stalled 40 miles northeast of the nearly abandoned American airbase at Kweilin. The Nips captured Wuchow, seaport city 145 miles southeast of Kweilin. From there they are attempting to strike Liuchow, important railroad junction on the Hunan-Kwangsi Railroad. The Chinese announced that the enemy forces striking out from captured Wuchow were estimated at 20,000. The Chinese claimed to have recaptured Sunhing, 75 miles southwest of Canton, and to have repelled attacks on Paoching, 63 miles west of Hengyang, starting point of one of the columns descending on Kweilin. The 14th AF was still flying sortie after sortie in an attempt to stop the Jap advance. On one occasion, they caught an enemy convoy on the Changsha-Kewiyi Road and destroyed an estimated 90 out of 300 vehicles. Predicted say: "Forever will last this spell!" Is he yellow, brown or black, or white or red? "How does he worship? Whom does he call Lord?" "What is his work? Does he believe in war?" CHINA - The small, black-haired little man with the perpetually laughing eyes stomped into the interrogation room, put his camera on the floor and turned to the squat, blue-jowled officer, "How about it?" he asked. "I know I'm not late this time." "No, you're not late this time," replied Brig. Gen. Blondie Saunders with a smile. A few minutes later, Bob Bryant, International News photographer, was holding a glass of fine old Kentucky bourbon in his hand. It had taken Bryant four months and two Super-Fort combat missions, but he finally got a glass of the stateside brew reserved for returning combat personnel. Bryant, one of the best-liked correspondents in this Theater, is a CBI veteran. He arrived here in December, 1942, from the Middle East where he had been shooting pictures of the British Eighth Army in action. He became the first American correspondent to have flown a combat mission in the present war when he accompanied a heavy bomb group attacking the then German-held port of Tobruk in Libya. Since that initial mission, Bob has flown more than 100 combat hours in all types of American bombers. Bryant flew on the first history-making B-29 raid on Japan last June. His plane was in the last element and last back. When he asked for his drink, he was shown the empty bottle and told: "Sorry, but we're all out." He never forgot it. Since the first mission Brayant has been covering Gen. Joseph W. Stilwell's troops in Burma and thinking of the drink he missed. "I kept thinking of how beautiful that Stateside label looked on the bottle," said Bob. "But when I started dreaming about it, I knew it was time to do something about it." He jumped the first plane headed this way and secured permission to fly the mission. This time he made certain he was assigned a plane in a leading element. he made it back in plenty of time, too. "What a man has to go through to get a drink in this country," moaned Bryant as he emptied his glass and headed back toward the table to try and collect on last June's mission. A BEAUTIFUL VIEW OF JAPAN Here's a beautiful view of Japan, the way we like it. A vital section of the Imperial Iron and Steel Works at Yawata goes up in smoke and flames as bombs of the 20th Bomber Command Super-Forts score direct hits. Bad weather restricted the operations of the Eastern Air Command this week, although a number of successful missions were flown against bridges, railroads and lines of communication throughout central and southern Burma. B-25's of the 10th and Third Tactical Air Forces were active throughout the week, beating up the Mandalay-Myitkyina railroad and attacking various targets in the Mandalay area. On one of these missions, B-25's of the 10th concentrated on the stretch between Meza and Wuntho, knocking out one bridge, partially destroying another and severely damaging the approaches of three more. Mitchells of the Third Tac bombed both the ye-U and Mu River bypass bridges, putting both effectively out of commission. Bhamo, Indaw, Thazi and Monywa were also bombed with extensive damage observed in the building areas. Throughout the week, Beaufighters of the Third Tac scored repeated successes against river craft, motor transport, rolling stock and locomotives in central and southern Burma. On Saturday, one of these aircraft caught a group of more than 100 loaded country craft on the Irrawaddy south of Chauk. He made 11 passes at them, sinking two and damaging another 20. RAF Hurricanes, Thunderbolts and Spitfires carried out a limited number of sorties against Japanese troop concentrations and lines of communication on the Tiddim Road in the Kabaw Valley and on the Chindwin River. Bad weather in north Burma cut down the number of sorties flown by fighters and dive-bombers of the 10th, although a number of offensive patrols were flown south of Myitkyina. In spite of the clouds and rain, RAF and USAAF troop carrier transports kept up their impressive deliveries of supplies and reinforcements to the various fronts. Lt. Gen. Montague G. N. Stopford, Commander of the 33rd Indian Corps. admired Gen. Joseph W. Stilwell's U.S. Army carbine when the two met at a pow-wow last March to hatch up some bad medicine for the Japs marching on Kohima and the Burma-Assam Railway. "I'll give you a carbine if you stop this threat to my supply line," Gen. Stilwell told Gen, Stopford. After the Japanese were driven out of Kohima and were retreating down the Tiddim Road and across the Chindwin from Tamu, the British general reminded the American general of their bargain. Now Gen. Stopford totes one of the stubby, little shooting irons on his inspection trips through the jungles.